Kohli courted controversy on Wednesday when he asked a fan to "leave the country" after the latter termed Kohli as 'over-rated'. New Delhi: Facing severe backlash for his controversial response to a fan, India captain Virat Kohli Thursday said that he is all for "freedom of choice" urging fans to "take it light". 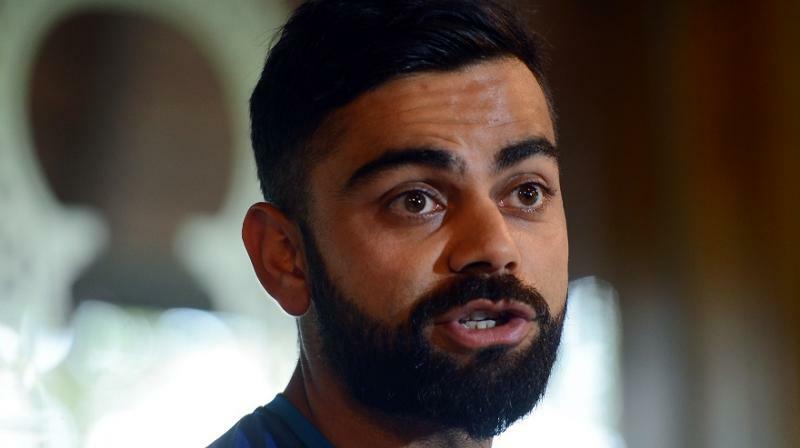 Kohli courted controversy on Wednesday when he asked a fan to "leave the country" while responding to his comment that he found the Indian skipper over-rated. His remarks did not go down well with the Twitterati, who trolled him for his unsavoury comments. "I guess trolling isn't for me guys, I'll stick to getting trolled! I spoke about how "these Indians" was mentioned in the comment and that's all. I'm all for freedom of choice. Keep it light guys and enjoy the festive season. Love and peace to all," Kohli, who was in a damage control mode, tweeted. The controversy erupted when Kohli read out a cricket enthusiast's comment on his mobile app: "Over-rated batsman and personally I see nothing special in his batting. I enjoy watching English and Australian batsmen more than these Indians." Kohli responded, "Okay, I don't think you should live in India then you should go and live somewhere else, no? Why are you living in our country and loving other countries? I don't mind you not liking me but I don't think you should live in our country and like other things. Get your priorities right." Noted commentator Harsha Bhogle feels Kohli is living in a comfortable bubble. "Virat Kohli's statement is a reflection of the bubble that most famous people either slip into or are forced into. The voices within it are frequently those that they wish to hear. It is a comfortable bubble and that is why famous people must try hard to prevent it from forming," Bhogle tweeted on Thursday. "That is also why contrary opinions are frowned upon. Power and fame tend to attract those people who agree with you and reinforce your opinion because they benefit from proximity to fame and power," read another tweet from Bhogle. That is also why contrary opinions are frowned upon. Power and fame tend to attract those people who agree with you and reinforce your opinion because they benefit from proximity to fame and power.